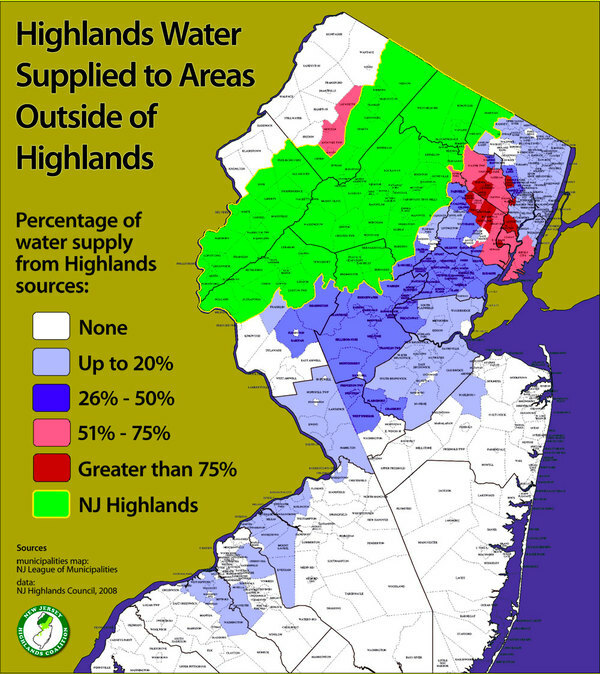 The New Jersey Geologic and Water Survey has updated the report using data from 2011 that shows how much potable water is supplied to municipalities from the Highlands region. The data we had been using was from 1999! In 1999, 292 municipalities in 16 counties received some percentage of their water from the Highlands region – that was 64% of the population or 5.4 million people. The 2011 report indicates that now 332 municipalities in 16 counties depend on the Highlands for their water supply -- representing 70% of the population, or 6.2 million people! Demand for water has increased, which means there is even more pressure for New Jersey to protect this important region. We have been busy showing the NJN film "The Highlands Rediscovered" and we would like to continue sharing this beautiful and informative film. We're happy to work with your organization (or an organization you know) if interested in hosting the New Jersey Highlands Coalition for a free screening of this film followed by a short Q&A session. Just let us know where and when! The Highlands Council met on January 21 to reappoint Councilman Kurt Alstede as Vice Chair and Councilman Bob Holtaway as Treasurer. The Highlands Council had also planned to vote on the authorization of their Highlands Open Space Partnership Funding Program and the Highlands Development Credit Purchase program rules. However, they were not able to present the rule edits and authorization resolution to the public with enough time for review, so they postponed the vote. The Council was finally able to vote on the authorization Resolution at their February 18 meeting -- and the Council voted unanimously in favor! As part of the Highlands Regional Master Plan review and Monitoring Plan Recommendation Report, the Highlands Council hosted 3 facilitated, large-format outreach sessions in early February. The sessions allowed members of the public to review and discuss with Highlands Council Staff the indicators developed as part of the Monitoring Program for the Highlands Regional Master Plan update process. Highlands Council Executive Director Margaret Nordstrom thought that the meeting format was so successful she announced at the February 18 Council meeting that they'd like to hold regular community meetings as a way for the public to get information from Staff about the Highlands. The Legislature has heard our outcry against the DEP’s proposal to allow more development in buffer zones that protect against flooding and in riparian areas that protect tributaries to Category-1 streams. 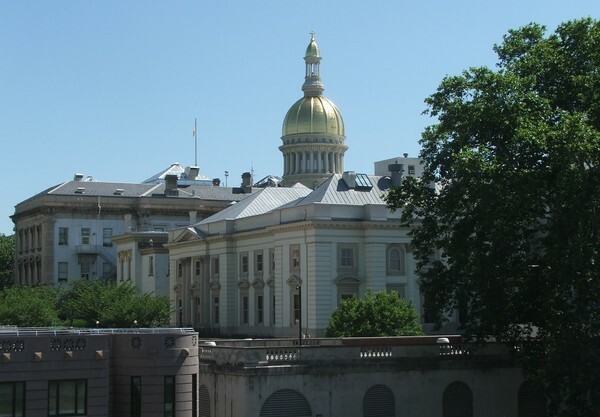 History was made on January 11 when the Assembly concurred with the Senate and passed the resolution that finds the Department of Environmental Protection violated legislative intent with the proposed Flood Hazard Area Control Act (FHACA) Rules. The Senate had passed the resolution on Oct. 22 (click here to see how your Legislators voted). Having concurred with the Senate, January 11 triggered a thirty day window, within which the DEP must revise the rule proposal so that it reflects the intent of the statutory provisions of the Flood Hazard Area Control Act, or withdraw the rule proposal. If the DEP fails to act, the Legislature may invalidate -- or in this case, prohibit -- adoption of all or part of the proposed FHACA Rules by each house passing a concurrent resolution providing for the prohibition. The 30-day window has expired and DEP has failed to Act. It was because of your action that helped encourage the Legislature to pass this important resolution. Please watch for further Action Alerts. If we are to prevail against this Administration’s attempts to roll back important, necessary regulations that protect our water resources and decrease the severity of flooding, we will need your continued help and support. Uphold the Highlands Campaign Our Outreach Director, George Stafford, continues to introduce the 'Resolution of Continuing Support for the Goals and Purposes of the 2004 Highlands Water Protection and Planning Act' in communities that depend on water from the Highlands.